Meet the team that share the same connection and love affair with growing and making distinctive wines from our region. Kirsten’s background has given her a solid foundation to be at the helm at Matawhero. Her previous life was at Villa Maria Estate, where her passion for wines was ignited. 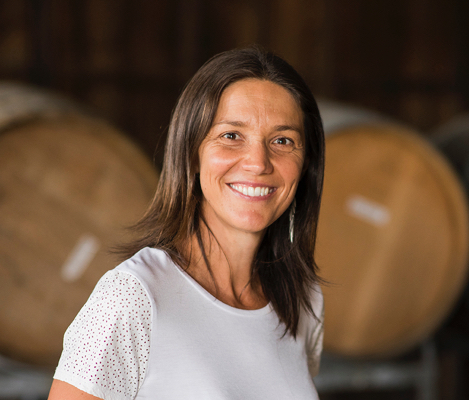 Upon moving to Gisborne in 2002 to marry Richard (and mid-way through starting their family) her winery roots were re-activated when Matawhero became available for sale. Kirsten and Richard’s “dependents” suddenly became three children under four, a dog, a cat, a vineyard and an old winery. As with managing a family, considerable time, focus and patience is required to reintroduce a dormant, yet legendary, wine label back to the market. Richard always knew he wanted to move back to his birthplace Gisborne for family, lifestyle and his passion for the surf. He managed his family vineyard after returning from London as part of a long OE where his accounting background was put to use. Our relationship with Kim all started with growing fruit for him in the late 1990s under the KC brand. 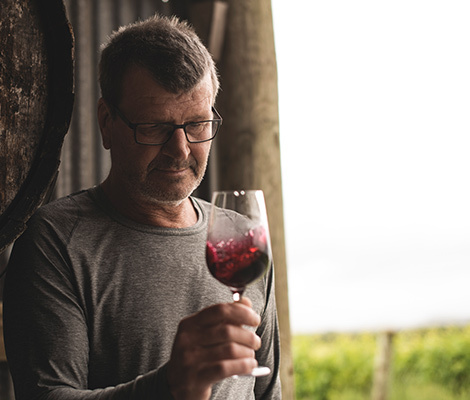 Many years later, casually, over a glass of wine (as many good business relationships are formed), he offered to come and lend a hand with crafting our Matawhero wines. Kim has always had a soft spot for Gisborne, and after working with fruit from our region for over 30 years, we think he is pretty well placed to guide us through making the best wine we can. Kim comments, “whilst Gisborne can be a difficult region from both a viticulture and winemaking perspective, when you get it right the flavours and fruit weight are unmatched”. 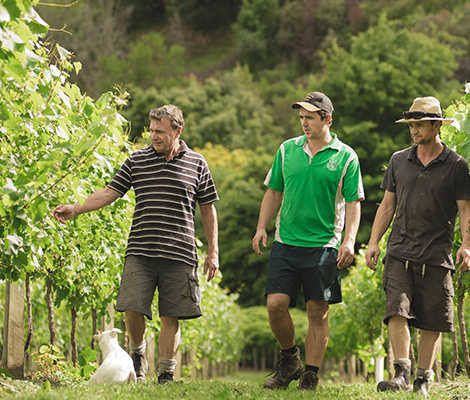 Pete, Fraser and Blake Briant have been farming in the Gisborne region for three generations. During this time they have been involved in not just grape growing but dairy, citrus, mixed cropping of maize, sweetcorn and tomatoes to name a few, apples, kiwifruit and sheep and beef – a testament to Gisborne’s fertile soils and the ability to grow an abundance of produce. 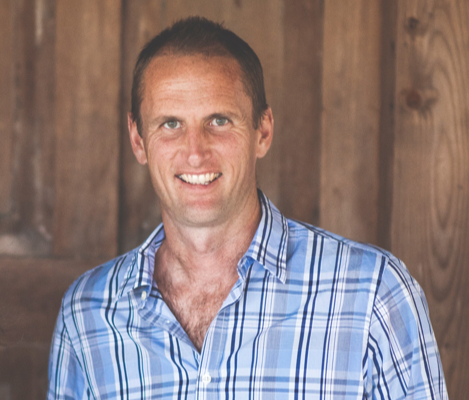 Pete planted his first vineyard in 1996, and was one of Kim’s original growers from Gisborne. 20 years on, it is lovely to see this relationship continue into Matawhero. 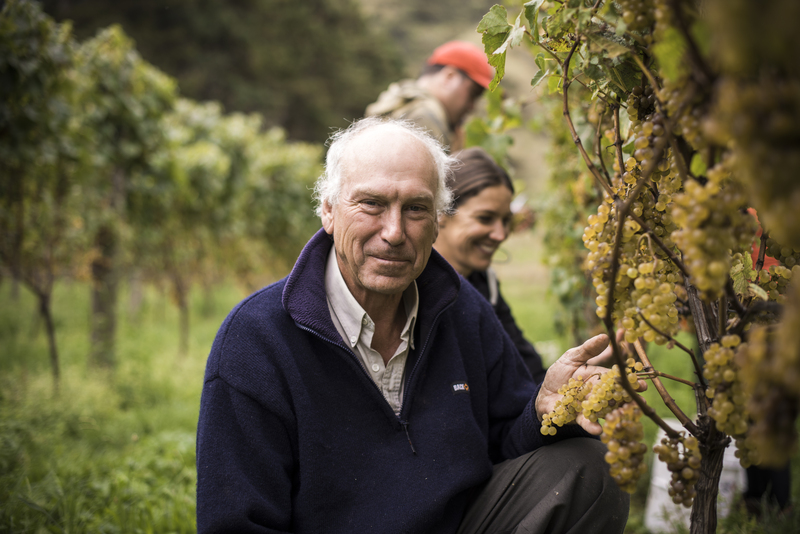 PT as he is affectionately known to all around the Gisborne district, planted his first grapes in 1983 and it was Chardonnay! The famous Tietjen vineyard has grown many Gold medal Chardonnays over these years and most of our Chardonnay fruit at Matawhero is harvested from this block on the Golden Slopes sub region of Gisborne.